First Nations have traditionally harvested for medicine, food, social and ceremonial purposes, including but not limited to harvesting of manomin-wild rice, birch bark, berries, medicinal plants and maple syrup. The harvesters of the Williams Treaty First Nations recognize the importance of conservation and protection and will only harvest for personal and community use.” We want the First Nation’s community to understand our issue is not with your rights. However, how these rights are being executed by one individual is a matter of great concern and that is why our communities have chosen to bring this matter forward. There is a great fear that the issue of seeding and commercial harvesting in areas where the lake never existed until the flooding, will result in unrest between the First Nations and our communities. This was supposed to be the year of reconciliation, but in order for that to happen, it is going to take compromise on both sides. We will today, put forth suggestions of what could be the first concrete step forward in finding a solution to this complex issue. Prior to 2011 people on the lakes were noticing the large amount of wild rice growing in our lakes. I say our lakes, as both the First Nations and fellow Canadians considered it as such and rightly so. For example my family purchased shoreline property in 1947 in the area of Pigeon Lake which was flooded when the Buckhorn dam was built. Brenda Jeff’s family purchased property in the same area in 1962. Our families are still on the lake as we decided to make this area our home, along with hundreds of others who fell in love with these waters. Flood’s landing Trailer park was here in the early 1950’s. Eagan Marine and Happy days House boat rental started up. Then there was Gannons Narrows Marina, Tourist camps like Fees Landing. These are only a few of the businesses who are now concerned about the proliferation of rice. These businesses bring in Thousands of Tourism dollars which help support our growing communities. They, along with permanent residents and seasonal residents surrounding the Tri Lakes make up a large portion of the Township’s tax base, which is in jeopardy, if solutions are not found. We contacted the Ministry of Natural Resources about the harvesting with an air boat and they lead us to believe that the individual had a permit and he was entitled to harvest in this manner. We then contacted the Trent Severn Waterways who Informed us they did not, nor does it, issue permits to harvest rice. Harvesting is allowed as long as it is in the traditional method. This was good news we thought!!! pounds of rice. He also said quote ” that the Federal Government has asked him not to, gather nor plant wild rice but I did not let that stop me” end quote. The lakes before the intentional seeding were pristine waterways ideal for recreational enjoyment, including canoeing, kayaking, swimming, and looking out at natures beauty. The area of Pigeon Lake where major seeding has taken place had no rice except in specific areas just north of Grenadier Island. This rice bed would come up every year and go through it’s annual cycle. Interestingly enough, in the 70 plus years I have spent on this lake the rice bed always, maintained it’s foot print. Simply because the seeds from the plant sink quickly and stayed within itself. There was no airboat to cast seeds wherever it went. No intentional seeding by persons dumping thousands of pounds of rice seeds in front of shoreline properties. As stated in 2011 we became concerned about the increase in rice beds and wrote to Mr Peter Kent, Minister of the Environment. His response was quote… the agency recognizes and understands the concerns shoreline landowners have in utilizing their waterfronts for recreational purposes and is WORKING towards the development of a Wild Rice policy. Unquote. This response was dated March 26, 2012. We waited patiently for some indication that progress was being made, but nothing happened. We contacted TSW again, who advised us to contact them if we see this person harvesting with the use of an airboat and they will attempt to contact a Parks Canada warden. We then had a conversation with the law enforcement branch of Parks Canada and We were informed that there was nothing they were prepared to do at this time due to the sensitivity of the issue. Who assisted in bringing this issue to the attention of The TSW. We also wrote to Jewel Cunningham ..Director of Ontario Waterways. In the fall of 2014 we contacted the O.P.P. who talked with the commercial harvester and he, in turn presented a commercial license issued by the MNR. The O.P.P accepted The harvester’s explanation even though the MNR has no authority over the management of Federal Waters. The O.P.P wrote us to say they are prepared to do whatever they are requested to do, as long as the request originates from TSW or the MNR. In other words do not bother calling us! In July 2015 we met with Jewel Cunningham and provided information that substantiated our claim that intentional seeding and commercial harvesting by airboat was taking place in Federal waters! Trent Severn Waterways then issued us an Aquatic permit to remove rice for approximately 10,000 ft of shoreline and three channels that would give us access to navigable waterways. First Nations took exception to the permit being issued as the TSW had failed to use the DUTY TO CONSULT RULING. We in turn honoured the request from TSW to temporarily stop the cutting. Talks were supposed to result in a Terms of Reference being established in order to move forward. This agreement took two years to complete but we still are not privy to the contents of this document, nor are we privy to any progress. In 2016 and 2017 we had several meetings with TSW, but unfortunately the response never did change. We are still WORKING on it. We are still working on it, Things are progressing, We are still working on it. Things are progressing. People wrote to the Premier of Ontario and received the same message “NONE”! Whoa!!! When is our Government and the First Nations going to realize the stand off between them is causing much anxiety with the people who are paying the price. It is obvious that all governing parties are not agreeing on a path to resolve this issue. More than seven years has passed since a cry for help was sent to our Government. We are NOT prepared to wait another seven years and that is why we are here today. The where and how the harvesting is taking place is of great concern. The seeding of open water where rice never grew before and the method of harvesting are causing much hardship within our communities. In 2009-2012 there was a project funded by Plenty Canada to RESTORE the rice beds in the Treaty 20 Territory. In 2013 this project continued and was funded by the MNR. We understand the restoration project was designed to restore the rice beds. I do NOT believe the intention was to seed all waters in the Tri Lakes! This seeding has caused the values of our homes to drop substantially.. This in turn will mean the taxes of every home owner in our communities will face an increase in their taxes to make up for the shortfall in tax revenues caused by decreasing values of homes and businesses surrounding the shores of the Tri lakes. This will affect almost everyone in this room. Tourism revenue dollars will decrease because of the lack of access to open water and traditional fishing spots, as well, rental properties in these areas will no longer be a holiday destination. For those who reside in communities surrounding the lakes you will have to traverse through channels to get too navigable waters. These channels are not safe during the height of the growing season, as the stalks are above your head and it would be easy for two boats to collide. It is an accident waiting to happen. The traditional activities for recreational use are no longer possible. You may not be aware that according to some – when the rice grows abundantly it means a good water source. The unfortunate facts are – it starts out that way but over time, if left unchecked will turn into a wetland or a swamp. Under natural conditions this probably would not happen, however nature did not count on man’s interference in this process. In 2013 Jeff Beaver stated that Pigeon lake had about 200 acres of Rice stands. 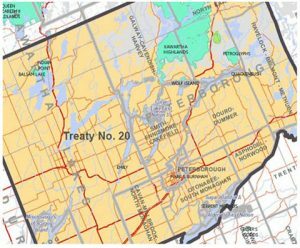 In 2015 Kawartha Conservation wrote that there were between 1500 to 1800 acres. You may hear that water clarity due to zebra mussels is a factor. This may be a factor, but I hasten to point out it would be a very small factor, as the original rice stand in the middle of Pigeon lake has not changed its foot print over the same time period. The increase in the amount of rice has created problems for all of us, most especially our elderly. The Rice is an annual plant and every year it goes thru it’s cycle and dies. Most of the stalks stay within the rice bed, sink to the bottom and turn into sedimentation. The rest is torn up from strong winds, wave action etc and then comes to rest on the shores. These stalks have to be cleaned up as they will rot and stink as they go through the process. Some of you have spent many hours cleaning up this mess. It may have been bearable when there was a few hundred acres but now, with over 1500 acres it’s beyond overwhelming! I’m sure by now it’s evident why we are here and why we are upset with our government. The lack of action & failure to offer any kind of solution, has resulted in tension between First Nations and our communities. Our issue is not with the First Nations as a whole, our issue is with one individual. We fail to understand why he is aggressively seeding within a few feet of our docks and in waters where rice never existed. We fail to understand why he is giving us rude and aggressive gestures while seeding. We fail to understand why he continues to seed when he has publicly stated that he has more Rice to harvest than he is able. Since he started seeding he has taken the stand with TSW of confrontation, deliberately not following the guidelines. He is acting without any consideration of the affects the seeding is having on the quality of life of his neighbours. He has already made statements that he plans to seed the Kawartha Lakes and Rice lake. He demonstrates his contempt for our communities at every opportunity. Hopefully, today might bring an end to this behaviour. We are respectfully asking the First Nations to talk with us directly and with the TSW. We suggest that Lake Management Plans be developed, whereby wild rice harvesting areas be determined and rice currently overtaking the residential and tourist areas be removed. In closing, it is our hope that respect & appreciation for each other’s well being , and the willingness of each other, regardless of the current political environment, will allow us to define a policy of mutual agreement that will demonstrate the desire by both the First Nations and our communities to proceed with finding solutions, resulting in a friendly and just RECONCILIATION. We have waited seven years for a solution to the aggressive seeding and harvesting which is having a harmful affect on our communities. The meeting today was refreshing as there was open dialogue which is required if a solution is to be found. This dialogue truly made the point we want to get along with our neighbours, we want a solution that will enable the First Nations harvesters to gather wild rice and use it for the purpose it was intended. As well, we want a solution that will allow the market value of our properties to be competitive, our tourism dollars to grow and allow us, once again to enjoy waterfront activities while at the same time, meeting the needs of our Indigenous neighbours. We have presented a solution that could work if we all proceed with an open mind. It really does not matter what has happened in the past. What matters today is for all of us to come together and make decisions that will ensure a true reconciliation. We all should respect each other and do whatever is necessary not to cause harm to our neighbours. We extend our willingness to help find a solution, in turn we would like Parks Canada and the First Nations to treat this issue as a priority. Establish a schedule of meetings and an end date of negotiations. Allow representation of our communities at these meeting. Let’s make a policy agreement and get on with Reconciliation. Hon. Maryam Monsef, Jewel Cunningham and Lorenzo Whetung we sincerely thank you for taking the time out of your busy schedule. Your attendance today illustrates a willingness to join together and iron out a solution to this serious problem. We look forward to a positive outcome for everyone. Hon Maryam Monsef, Councillor Lorenzo Whetung, Ms. Jewel Cunningham Director of Ontario Waterways DO YOU AFTER HEARING THE CONCERNS OF THE PEOPLE AND THE WILLINGNESS OF THE PEOPLE TO FIND A SOLUTION TO THE ISSUE DISCUSSED TODAY,FORESEE A WORKING GROUP BEING ESTABLISH WHICH WILL INCLUDE THE FIRST NATIONS, PARKS CANADA and the Representation of STAKE HOLDERS surrounding the Tri Lakes.? Thank you all for your attendance at our Community Meeting. My apologies to anyone who was unable to get in, due to the room being overcapacity. We did not anticipate the number of people who came out to show their passion and support to find a resolution to this very serious issue. For those who were unable to get in to the meeting, you may rest assured your voice was heard through the concerned stakeholders present. The fact that you showed up, helped to emphasize the need for a solution to be found. The purpose of our meeting, was to get together, to understand each other’s concerns and work towards a solution. Although no solution was found the point was made, that regardless of the political environment, that there is a need for our governments to find a solution to satisfy the needs of the First Nations and the stakeholders residing in our communities. The meeting did demonstrate our need to increase our level of organization. Efforts, thus far, which have been extensive, have been undertaken by a small group of community volunteers. Do you or someone in your family have experience in communications, social media, fundraising etc? We need your help! There are many things that can be done to support our cause and as we know, many hands make light work. Please think of contributing a bit of your time to help bring about a favorable resolution. Please respond to this email if you are interested in attending future committee meetings or offering some assistance. Again we thank all of you for the constructive dialogue. We are in this together and a resolution will only be found if we all work together toward a solution that will meet everyone’s needs. We have been advised that Chief Phyllis Williams of Curve Lake was unfortunately double booked for Saturday November 3rd. In her place Councillor Lorenzo Whetung, Rights & Resources Portfolio and Curve Lake Representative to the Williams Treaties Harvesting Committee will be in attendance to speak on behalf of Curve Lake. In addition we are happy to confirm that Maryam Monsef Member of Parliament Peterborough-Kawartha will also be in attendance. I would suggest that if you have any questions you would like answered by our guests that you forward them to savepigeonlake@gmail.com. This will permit us to go through them and consolidate taking out the duplicates. There will also be a question period to ask your questions directly if you would prefer. I encourage you to talk with your neighbours and friends and request them to attend this very important meeting with you. Remember the aggressive seeding and harvesting by one individual is affecting everyone in our communities. Your attendance will help demonstrate the seriousness of this matter. Saturday, November 3, 2018, 2 p.m.
Come meet with your neighbours and other property owners who are concerned about the invasion of planted rice in the lakes. Mayors-Elect, representatives from the Trent Severn Waterway, and MPs office have been invited. Confirmation of attendance will be posted on www.savepigeonlake.com. This meeting is being held by a group of volunteers in your community. THERE IS POWER IN NUMBERS. YOUR ATTENDANCE WILL HELP DEMONSTRATE THE SERIOUSNESS OF THIS MATTER. I would like to address the issue of waste created by a resident of the Curve Lake Reserve, namely Mr. James Whetung’s rice fields in Pidgeon Lake, as well as in several other Kawartha Lakes. We have been living, not just cottaging, on the South East shore of Pigeon Lake since June of 1994. The waste issue has been overlooked within the greater issues with Mr. Whetung revolving around the Williams treaty of 1923. (I refer you to the attached letter by Mr Larry Wood to The Hon Justin Trudeau Prime Minister). Since I was a kid growing up in Germany, I’ve always had empathy for the plight of the North American Indigenous People. So I can state right here that I support him in his endeavour to pass on the tradition of harvesting the wild rice in their traditional way, to his people and others who are interested. However, I take great issue with the manner in which he’s going about it. He has voiced his intentions to seed most of the lakes within the boundaries of the Williams Treaty. In 1994 there was no evidence of any rice any where near us. We understand that in 2011 there were approx. 200 acres, today there are in excess of 1500 acres, and there seems to be no end in sight. This begs the question: how much rice does he need to traditionally harvest it by canoe? He has thrown tradition out the window. He is harvesting using an airboat, typically used in the Florida everglades. A most noisy piece of equipment. At the end of harvest sason a lot of his dying crop disintegrates and washes up on our shores. These mats of waste consist of strands of thick and very strong rice grass which has been uprooted by wave action as well as by adjasent boat trafic. Most of these strands are 8ft. long, knitted and woven together into a mass thick enough to touch bottom, which is 3 to 4 ft. deep at our shore. They can reach out to 50ft. from shore. Once the heavy job of forking it out of the water is donewe have to get rid of it. Fortunately we have a place on our property where we can dump it. If we did not have this space we would have to truck it to the dump and pay for doing so. I am 75 years old, my wife is 71. I have Parkinson’s Disease. To get rid of this mess is a big job, as witnessed by the attached photos. This is not a onetime thing, but rather has to be repeated several times throughout the season. Mr. Whetung’s neighbours to do it! In effect he is running a commercial enterprise, and as such, he should abide by some rules that I’m sure his mother must have taught him, namely one being: clean up after yourself! The option of just leaving them in the water is not tenable. It doesn’t take long for the whole thing to turn into stinking, rotting mess right into winter. In the spring once the ice is gone, we find the lake bottom in front of us all covered in the remains of last years mess. He is running a commercial business, Black Duck Wild Rice, and by all indications not very well. He is a one man show, concentrating on playing in the mess he’s creating on the waters, making it very unpleasant for the rest of us. Pat and I are not by a long shot the only ones affected by this man’s behaviour. Mr. Larry Wood, Spokesperson for the “Save Pigeon lake Initiative” has been in touch with all levels of Government since 2011, without any success in gaining help regarding this problem. When contacted, Hon. Maryam Monsef, our MP has shown little interest. I’m afraid Mr. Whetung’s attitude does not bode well for the Reconcilliation Process underway in Canada at this very moment. It is for this reason I am writing you now, to respectfully appeal to you to put some weight of your office onto this matter. As you are aware, an election is coming up. The person who gets elected as Mayor will have an opportunity to fight on our behalf in finding solutions to our continuing battle, re the issues pertaining to the farming of rice in the Kawartha Lakes. I asked each candidate what they would do if elected. Below are their responses. The quality of these candidates speak for itself, as each one enthusiastically agreed to respond and in writing. Our thanks for putting your names forward. I sincerely apologize for my delay on my response. The reason for my response is that it is very important for me to review all background information I could obtain in order to most thoroughly and fairly respond to your request. Establish a method for harvesting the wild rice that considers the needs of adjacent waterfront property owners as the current mechanical method of using an air boat generates excessive noise that is disturbing to waterfront property owners and is affecting the enjoyment of their property. Establish time limits on mechanical harvesting by limiting the hours per day for harvesting and establishing no harvesting on Sundays. I also think it may be wise for Selwyn Council to request a meeting with our Curve Lake Nation Chief and Council to discuss the wild rice on behalf of both of our community members, as we are all affected by this use of the shared lakes and shared land. At my requests for information, I have not received any confirmation that this has happened yet. I have read about, and listened to your story of your family history on Pigeon Lake and understand that this is very upsetting for you and your family. I have received a number of other requests for my position on the wild rice seeding and harvesting on Pigeon Lake and will respond to those emails now. As you and yours well know, this is a challenging issue as it involves our Federal Government and our Williams Treaty First Nations, and there is a long history that is being considered at the Federal level prior to decisions being made now. Please let me know when and where the candidates responses will be posted on your website so that I can direct other inquiries to your site. This may also help to garner more support for you. Good morning Larry, as per our conversation, I am providing you with my comments regarding the seeding of wild rice on Pigeon Lake. This seeding practice started almost ten years ago and it appears that our Federal government, their local representatives and the Trent Severn Waterway have done little to support the Selwyn residents who have been negatively impacted. As the Trent Severn Waterway is a Federal jurisdiction, it is their responsibility to mitigate this issue to ensure fair and equal treatment of all residents. Selwyn Township has a long history of cooperation and partnerships with its neighbouring townships and Curve Lake First Nations Council. Our partnership with Curve Lake includes bi-annual Tri-council meetings with Trent Lakes Township, economic development and tourism initiatives, public transportation planning, provision of fire services to the reserve etc… Selwyn Township values our relationships with our neighbours and wants to enhance future partnerships that will directly benefit residents in all of our communities. Successful partnerships depend on all parties actively working together to find solutions to local issues that impact residents. If elected Mayor of Selwyn Township, I will request an urgent meeting with Curve Lake Council to work on a compromise solution that is agreeable to both communities. Partnerships are dependent on both parties having empathy and understanding of the needs of everyone involved. Future partnerships with the Township of Selwyn may be negatively impacted based on support for these basic principles of negotiation and cooperation. I am prepared to urgently and actively work towards a solution for the residents of Selwyn Township. Thank you for taking the time to talk with me. As always I appreciated hearing your perspective and I understand the frustration you are experiencing. I believe one of the fundamental responsibilities of the Township is to take measures that work to facilitate residents having the opportunity to enjoy their property. As Mayor I would work hard to ensure this takes place. As you point out in your letter indigenous harvesting rights is not the issue. You and your neighbours recognize this activity is consistent with the Williams Treaty. What you are seeking are answers to a number of questions about the exercise of this right and the need to receive answers in a timely and clear manner. As Mayor of Selwyn I will champion your efforts to be provided answers. As you know I have extensive experience dealing with senior levels of government in general and indigenous issues more specifically. I have a long track record of getting things done. In closing I believe that the resolution of the situation requires the respectful engagement of all parties. As challenging as the past relationship has been, the path forward requires the Township to make an aggressive effort to find common ground and to continue to engage all parties. I would be pleased to discuss this further with you and your neighbours. Please advise when you will be able to update us. Yesterday, Monday September 17, we went through another day of upset caused by Whetung, not only harvesting by mechanical means but also seeding the lake approximately 50 to 75 feet off the shoreline in pristine water with no rice. To aggravate the situation even more he made a rude gesture at us. We then taped a video which clearly shows the seeding taking place which is attached. Surely this action is not acceptable! All we read about is the need for reconciliation between the First Nations and the rest of Canada. How can there be reconciliation when one individual from the Curve lake reserve takes it upon himself to destroy the southern part of Pigeon Lake. Our position is – enough is enough. If we have to take things into our own hands and create media attention to the fact that our Government’s are not prepared to take a position on this matter we are prepared to do so. There is nothing in the treaty settlement that addresses the issues below. A. If it is legal to seed the Kawartha Lakes with wild rice? B. If it is legal to harvest rice for commercial profit ? We are Canadians and need the protection of our rights; our homes are loosing value, the use of the waterways are being lessened, plus the annual cycle of the growth of rice is causing more sedimentation that will eventually turn the southern part of Pigeon Lake into a swamp. This is supported by the fact that the amount of rice has increased from an estimated growth of 200 acres to 1500 acres in the past seven years caused mainly by the admitted seeding of Mr. Whetung. IT IS TIME FOR OUR GOVERNMENT TO REMEMBER, WE TOO DESERVE THEIR HELP IN ENSURING WE ARE TREATED FAIRLY! WE ARE CANADIANS WHO NEED YOUR HELP IN STOPPING THE SEEDING AND MECHANICAL HARVESTING OF RICE FOR PROFIT. WE SUPPORT AND ENCOURAGE THE HARVESTING OF WILD RICE IN THE TRADITIONAL METHOD FOR PERSONAL AND CEREMONIAL USE. FARMING (SEEDING AND HARVESTING BY MECHANICAL MEANS FOR PROFIT) OF RICE IN THE KAWARTHA LAKES SHOULD NOT BE PERMITTED! PLEASE PAY ATTENTION….NO MATTER WHAT LAKE YOU ARE ON….THIS COULD HAPPEN TO YOU! On Monday, September 17th our rice problem reached a new level! Two individuals in an airboat were seen and videoed SEEDING the Eastern Shore of Pigeon Lake just feet off of our docks! This went on for about 4 hours and they continued to SEED all of the open water areas. ENOUGH IS ENOUGH….This is horrifying and totally unacceptable! As you are aware, we have been trying to find a solution to the rice growth in the Kawartha Lakes. We have been in contact over the last 7 years with our Governments in the hope they would do something about the seeding and commercial harvesting. To date no solution has been found. I have sent the attached letter to the Director of Ontario Waterways, Parks Canada with cc.’s To The Prime Minster of Canada, The Ministry of the Environment, The Ministry of Aboriginal Affairs, The Federal MPP of Peterborough County, The Ontario MP Of Peterborough and Selwyn Council. WE NEED YOUR HELP TO END THIS ATROCITY! The only way we can make a difference is if we all SPEAK UP! You can help by writing your thoughts to all of the above or anyone else that will listen. Have your kids, grandkids and friends write a letter too. We need to reach out and find some professionals or volunteers who can help us with this mess. Surely someone in this great country of ours would step up to help stop this injustice. Please forward this email to others you know who are enjoying the pristine Kawartha Lakes. Seeding has taken place in all three tri-lakes plus Stoney Lake. Your lake could be next! Do you know anyone who would have an interest in reviewing this Issue and advising us how to approach our Government for assistance? You can also help by asking your friends to send a note to savepigeonlake@gmail.comrequesting to be put on our mailing list. For those of you who have not been affected by this….Try to imagine how it would feel after working long and hard to acquire your lakefront dream home and having someone just feet off the end of your dock dropping seed into the water. How would you feel? PLEASE HELP! Reconciliation with Williams Treaty First Nations – Is it Possible? We have read with interest the reconciliation process and the settlement between the Governments of Ontario and of Canada. Of particular interest to us, shoreline stakeholders residing on the shores of Pigeon, Buckhorn and Chemong lakes in the Kawartha’s, is that the harvesting rights of the First Nations remained. As proud Canadians we respect the need for Reconciliation and hopefully it will move forward in an honourable way, respecting each other, resulting in a stronger Canada. Unfortunately, we are concerned that respecting each other and reconciliation may not be possible in the present environment. We do not have any issue with the above; however, not all First Nations people who gather wild Rice, honour the Williams Treaty Harvesting guide which brings us to the reason we are requesting your assistance. Mr. James Whetung of the First Nations Curve Lake Reserve, well known for his quest to fill the lakes with wild Rice, has admittedly seeded the lakes with thousand of lbs of rice expanding the rice fields on Pigeon Lake from approximately 200 acres in 2011 to in excess of 1500 acres today. He harvests the rice to sell commercially on line through Black Duck Wild Rice, as well as to people in markets and to wineries. His method of harvesting (farming) is by an airboat with a sound decimal exceeding 100. We have been in contact with all levels of Government since 2011, no action, just promises that their working on solutions. Seven years later still no answers from our Government. The following questions have gone unanswered. Is it legal to seed Federal Waterways? Is it legal to harvest rice for commercial purposes? Is it legal to harvest by mechanical means? Please take the time to review our website www.savepigeonlake.com and the letters below. They will provide you with further insight as to why we are requesting your assistance. We have met with Hon. Maryam Monsef who has shown little interest in our plight and therefore are requesting a meeting with you to explain more clearly our concerns.